Have you ever thought about the non-professional and simple movie-making program, which you can use without any technical or video background? And you actually have an opportunity to use it. 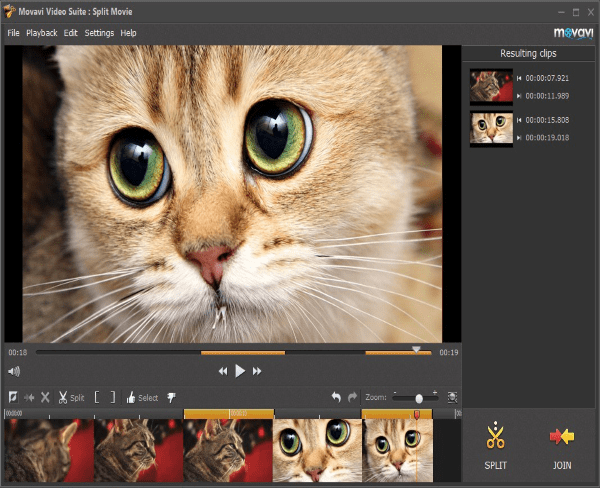 Movavi Video Suite 17 is considered being a comprehensive, user-friendly and simple program, which can help you to manage your video achieves, make edits or resize it in several minutes without additional guidelines and instructions. Of course, as any tool, it has several video tutorials for the successful usage; nevertheless, because of the intuitive design and visual helpers during the start of the program you have a possibility to do everything by yourself. 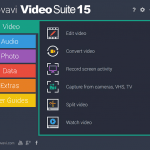 Moreover, comfortable converter of Movavi Video Suite will help you to convert it into one of the most popular formats of videos and save it to your desktop or any disk you want. Movavi Video Suite can be used by non-professionals as well as by professional video makers, working in companies or studios. 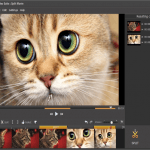 The simple interface of Movavi Video Suite, as well as its intuitive and user-friendly interface, makes it an attractive tool for encoding movies, clips and videos to convert it to the particular format. A creator of the program is a well-known Russian company, which was founded in 2004 and currently is successfully working on the market of video and audio applications and programs. After a list of successful programs presented to the market, Movavi decided to dedicate their efforts to the program, which will organize all needed tools of multimedia organizer, including converting, editing, cutting and uploading it to the popular online platforms, like Youtube or Facebook. 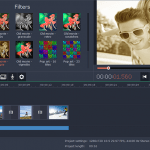 With simple guidelines and instructions you can easily manage your videos, clips and other products with this application. This particular program does not require any additional technical experience or knowledge. All you have to do is to download a certain video into the program and edit it wherever you want. 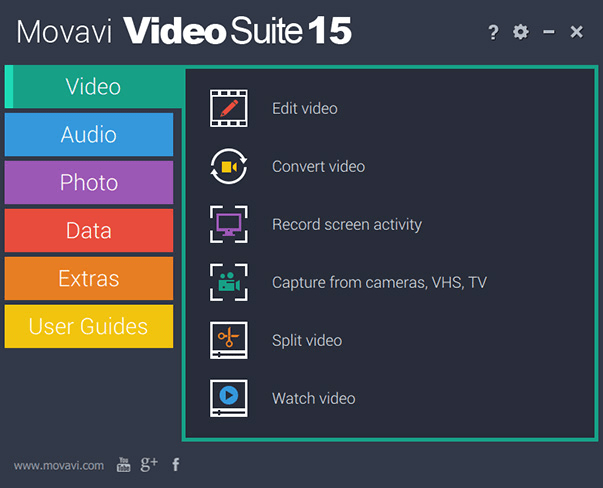 You can easily install Movavi Video Suite 17 on your computer – just choose a folder to download an installation file and start preparation. In several minutes you’ll see a window of the installation process, which is going to be during several minutes. You can easily select a language, which is comfortable for you. When your installation is finished, you can open a Movavi Suite Launcher and go through the all main tools available in the product. Movavi Video Suite is a perfect combination of simplicity and smooth design for every particular multimedia project you are planning to do. Basically, when you installed a program, you have several guidelines and instructions to follow before the start. It is not a problem if you do not have a certain technical experience – do not worry, because this particular tool is designed for non-professionals and amateurs. When you enter a program – you see a Movavi Video Suite Launcher with a list of all available tools for the comfortable work. For example, if you are planning to work with the video editing and compression or convert it into one of the most popular and available formats – just go ahead and pick a certain menu. When you move to the dashboard “Tools”, you’ll see that it is divided into 5 different menus. The first one is totally dedicated to video. Basically, here you will find several options for your video converting, editing, adding special effects, splitting it and adding into the different formats. When you pick up a menu “Audio” – you can easily work with the audio files you have. Basically, it is possible to convert them into the different available formats as well as cutting it into the different files you need. All these files are available for the uploading to your desktop or disk as well as sharing on Youtube and Facebook. 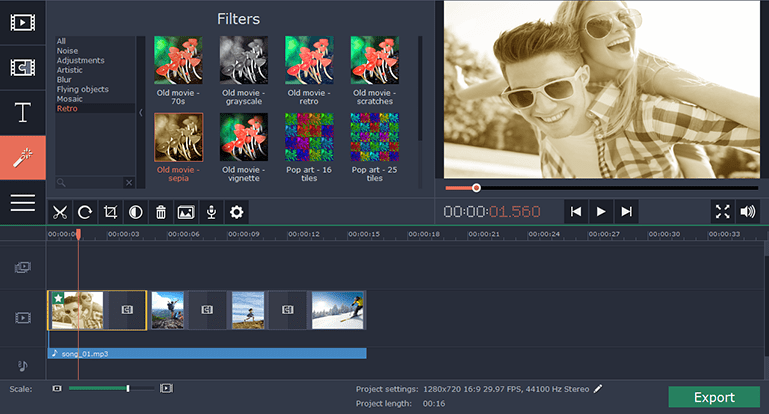 In Movavi Video Suite there is a possibility to work with your photo files. Basically, with the help of several applications and tools you can easily add simple effects and edit them. For example, you can put HD effects or make it black and white in several seconds. Moreover, if you need a photo slide show – it is available to make it in Movavi Video Suite as well. All photos are able to be transferred into social media or saved. Could you remember the last time you were burning something on the CD? Yes, sometimes there is still a need to have it, so Movavi Video Suite provide you with this opportunity. You can easily burn your video, audio or photo files to CD, DVD or any other available disk in several minutes. If you are interested in working in Movavi Video Suite professionally – you have an opportunity to read a special e-book “Movie-Making in one hour” to get more information and lifehacks about the successful and easy movie production. 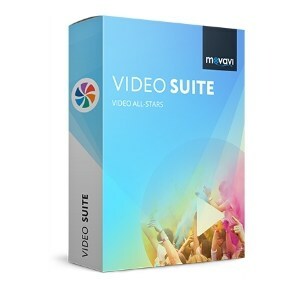 If you are looking for the cheap and highly efficient program to help you in dealing with multimedia products – pay your attention to the Movavi Video Suite. Its user-friendly design and simplicity has made it a #1 choice among amateurs and professionals.